This page contains a short summary answer to some of the questions we hear frequently. For a more in-depth explanation, references and further reading, click on the appropriate hyperlinks. What immunisations might I need as an adult? Weren’t the diseases disappearing before vaccines were introduced? How can we be sure that the vaccines we give are safe? Can vaccines cause shedding, or cause or lead the diseases they are meant to protect you from? 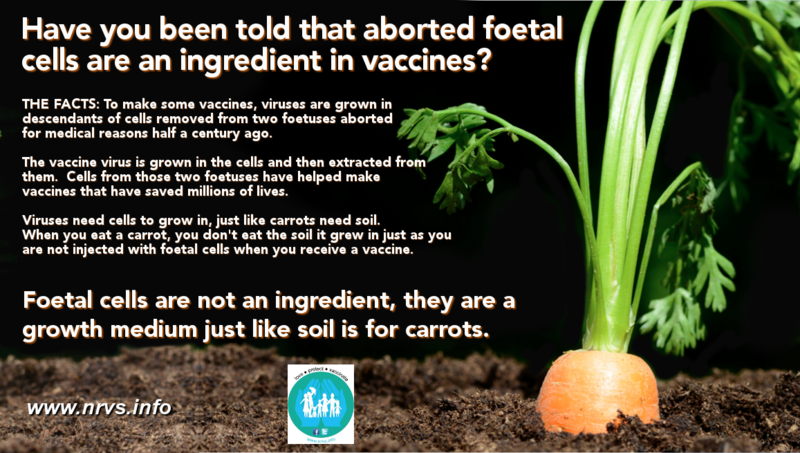 Do vaccines contain aborted foetuses? Vaccines are injected not ingested – doesn’t that make a difference to what happens to their ingredients and how toxic they are? If vaccines work, why are my unvaccinated kids a threat to your vaccinated ones? Why do you care? 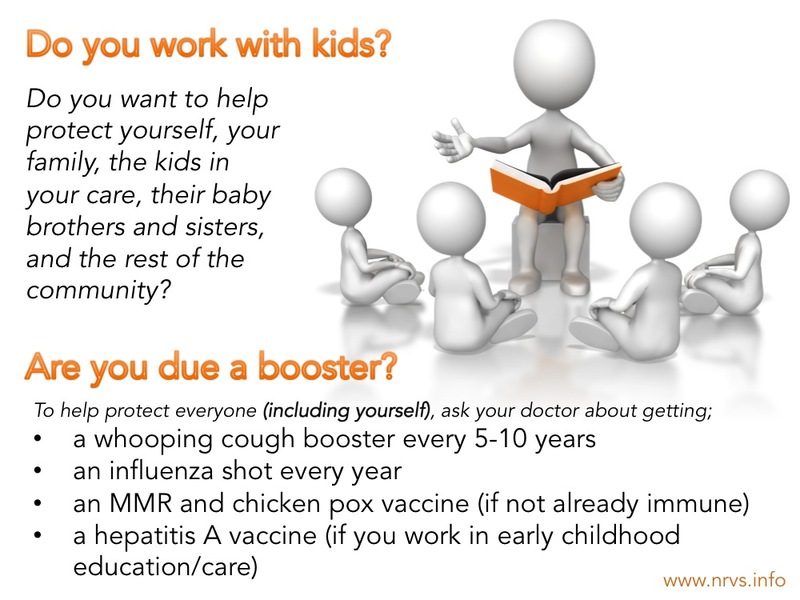 I work with kids, how can I help to protect myself from vaccine preventable disease? Which vaccines are the most important ones? 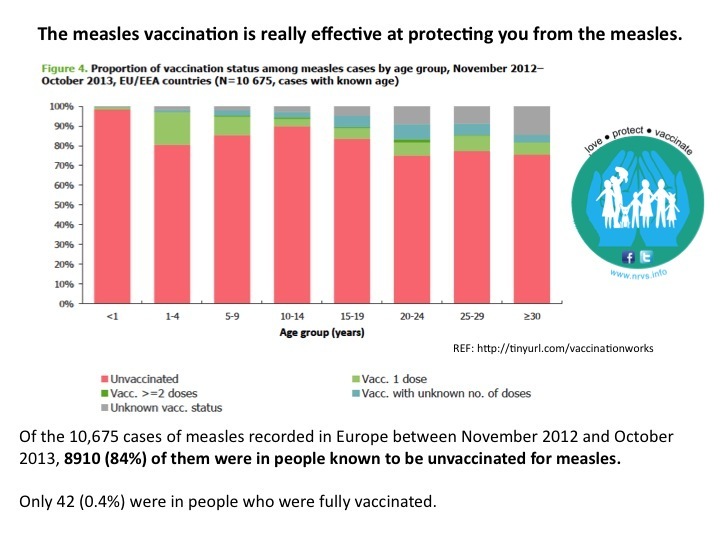 Aren’t there more people vaccinated coming down with the illness than unvaccinated? Why might somone who is vaccinated get the disease? Aren’t all these illnesses just a right of passage for kids? 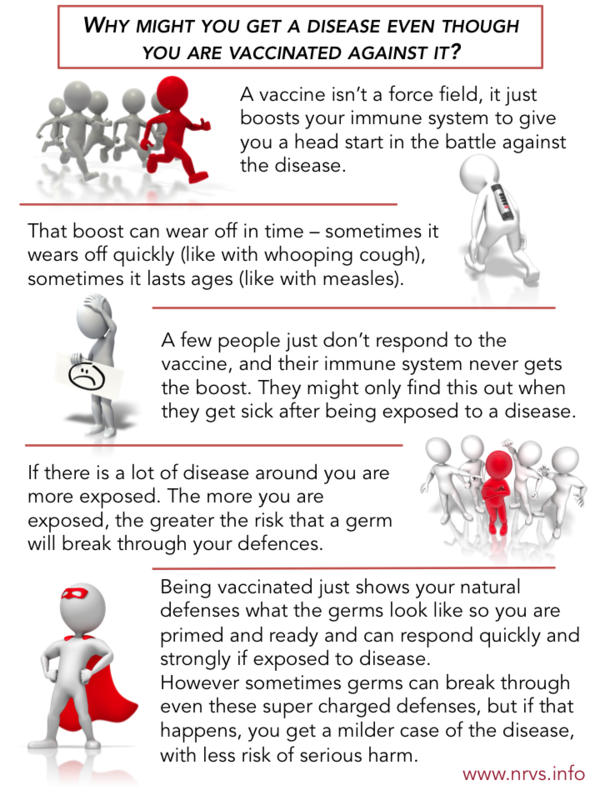 How do I talk to my friends and family about vaccines if they are worried? Q: What immunisations might I need as an adult? A: To confirm your own specific needs or that of your family, see a registered immunisation provider such as your GP. 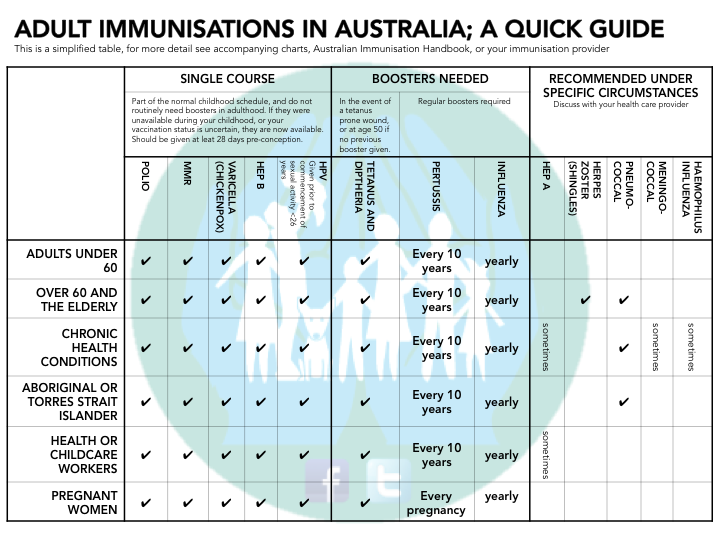 This table gives a basic guide to adult immunisations in Australia including those funded on the National Immunisation Schedule. For more details please see here. Q: How do vaccines work? 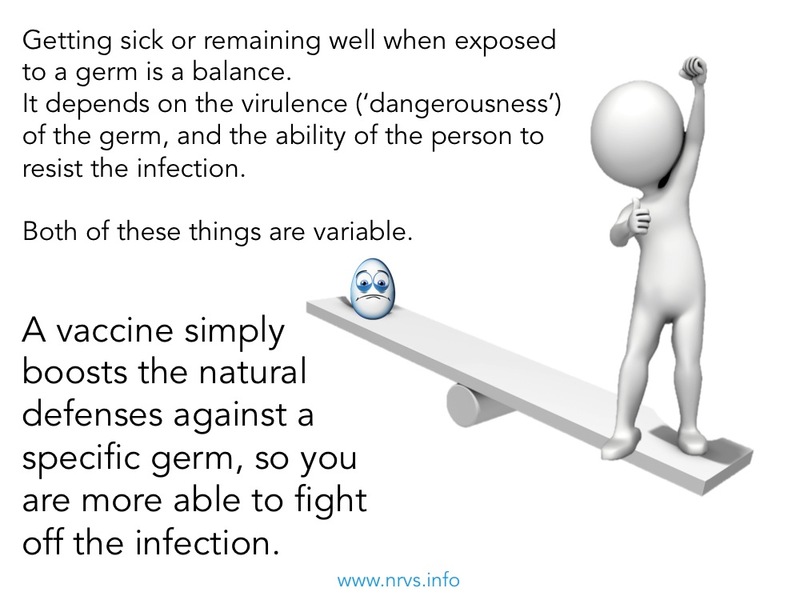 A: For an indepth discussion of how and why some germs cause disease in some people, and how vaccines can help protect you, please click here. 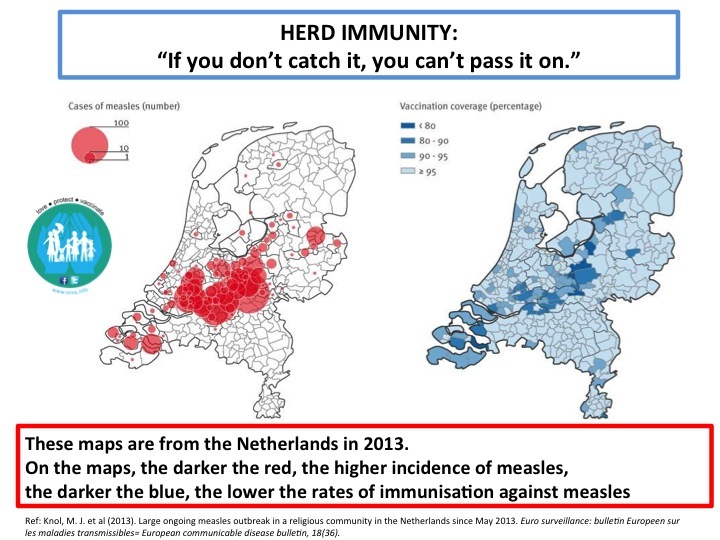 Q: What is “herd immunity“? A: If a disease is spread from person to person, as more people get vaccinated the bacteria and viruses that cause those diseases run out of places to survive and thrive. If sufficient numbers of the population are vaccinated (over about 95%, although it varies from disease to disease), then even the people who are not vaccinated are protected by the herd, they are protected by the community. If you don’t catch a disease because you are vaccinated, you can’t pass it on. 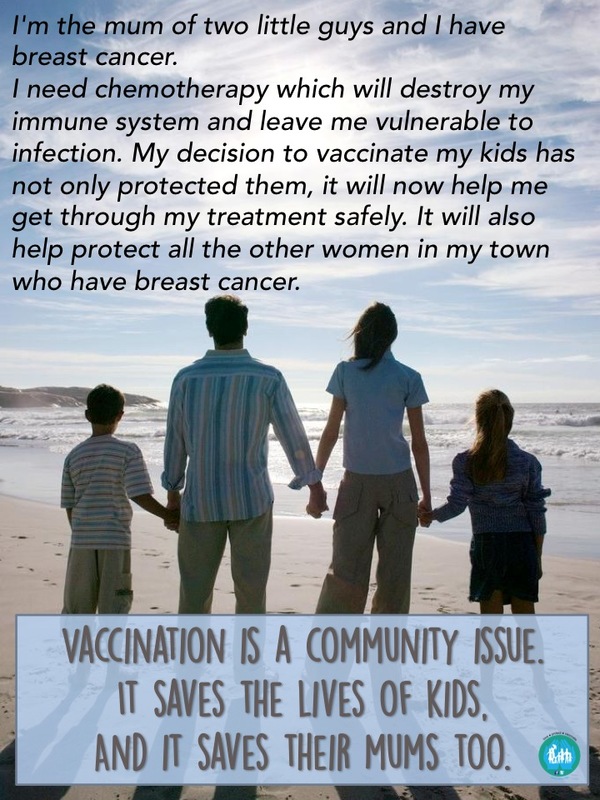 This is important as not everyone in the community can be vaccinated. They may be too young, or sick to be vaccinated themselves. 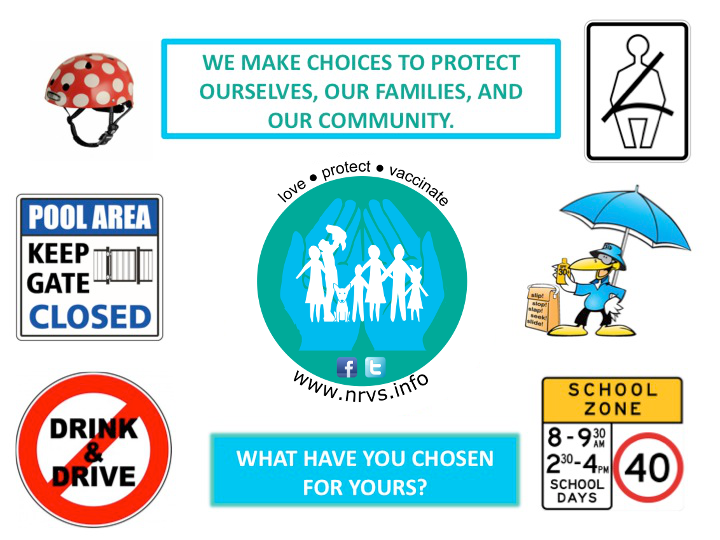 By getting yourself and your family vaccinated, you are not only protecting yourselves, you are also protecting the most vulnerable members of your community. This does not apply to all diseases. Tetanus for example, lives in the soil so you don’t catch it from a person. Q: How do we know that vaccines work? A: Through laboratory, animal and human studies, and the scientific analysis of surveillance data. For more details see here. 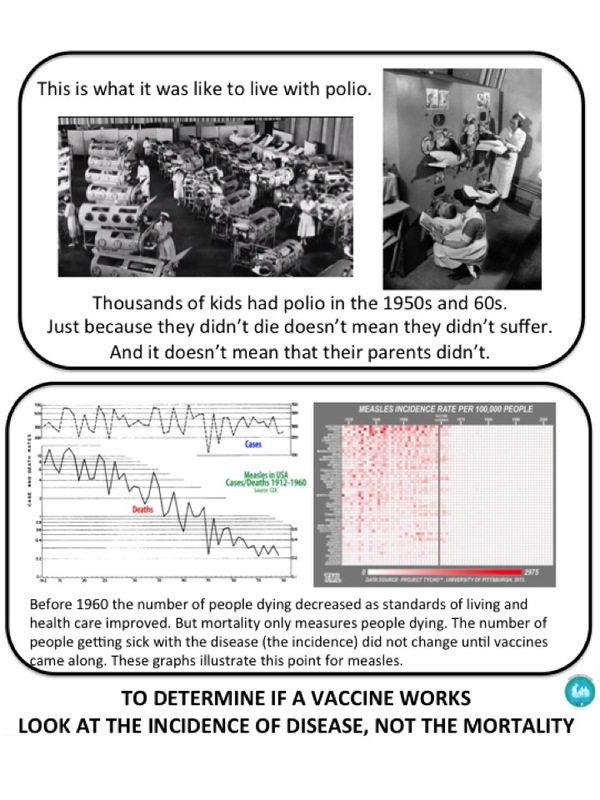 Q: Weren’t the diseases disappearing before vaccines were introduced? A: No. There was a decrease in the number of people dying from disease before vaccines because of other advances in medicine, but the incidence of disease only started decreasing once the vaccination was introduced. For more details see here. 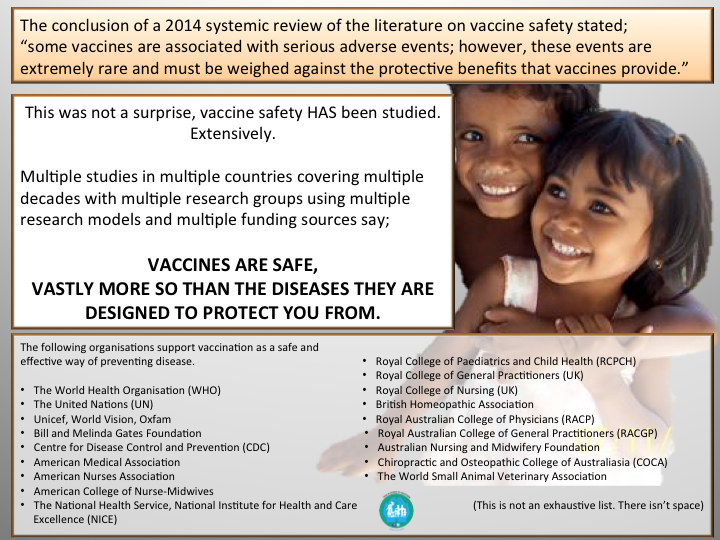 Q: How can we be sure that the vaccines we give are safe? A: Vaccine safety and effectiveness is continuously studied. Vaccines are designed to be given routinely when a child is well, so they must be extraordinarily safe. 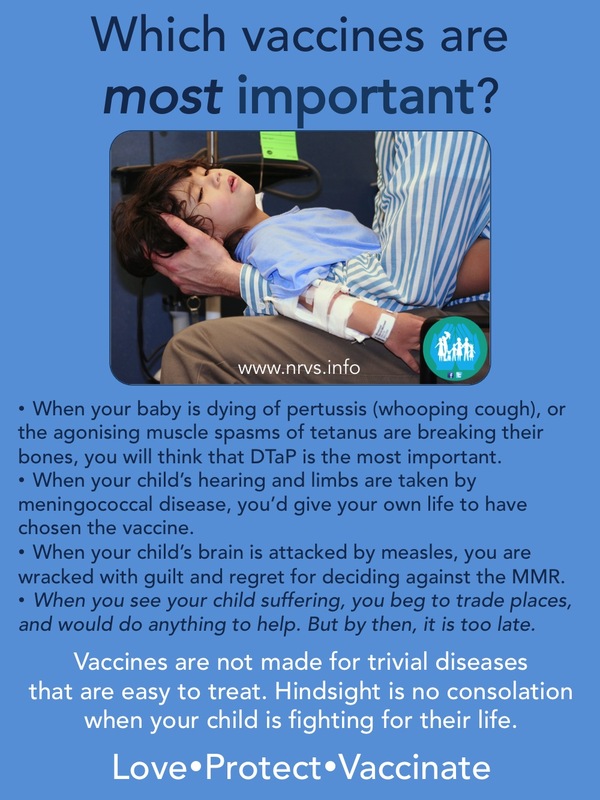 Safety testing begins as soon as a new vaccine is contemplated, continues until it is approved for use, and is monitored indefinitely once in general use. For more details see here. 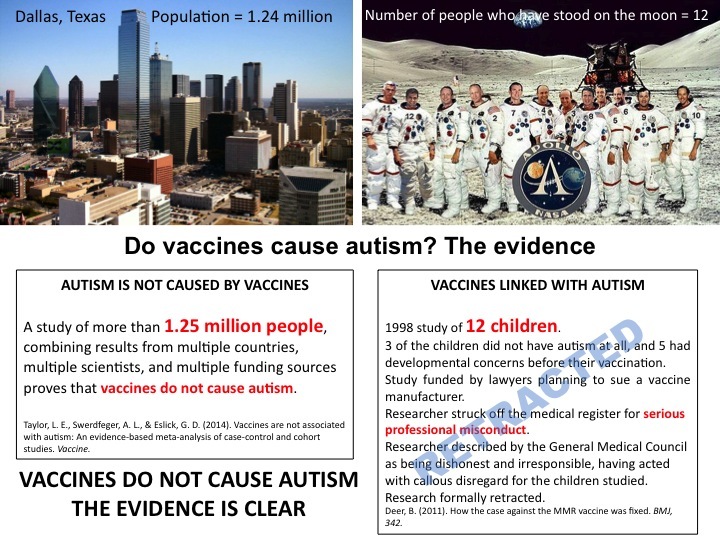 A: No, vaccines do not cause autism. For more details see here. Q: Do vaccines contain toxins? 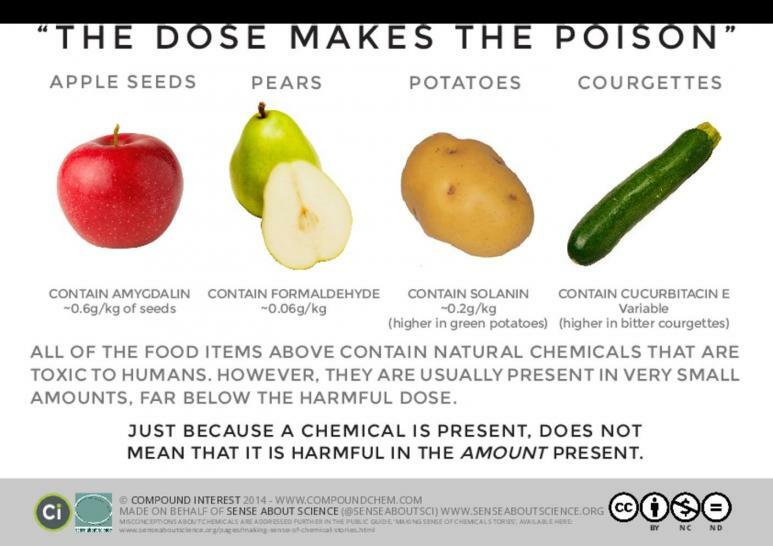 A: All substances can be toxic if given in a great enough quantity. There are no toxic levels of any substance in vaccines. For more details see here. Q: Can vaccines overwhelm the immune system? A: No. 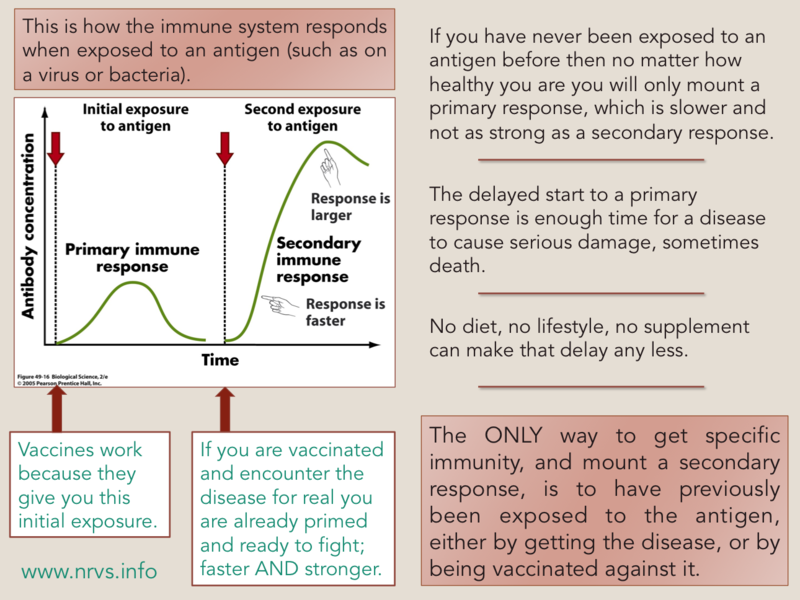 Our immune systems handle thousands of threats (antigens) a day, adding a very few specific ones to the mix is not capable of overwhelming such an amazing system as our immune system, at any age. For more details see here. Q: Can vaccines cause shedding, or cause or lead the diseases they are meant to protect you from? A: No, they can’t. Only some vaccines even have whole germs in them, most are made up of simple little pieces of the micro-organisms or inactivated toxins, and are therefore incapable of causing the disease in the person vaccinated, much less able to be passed on to anyone else. There is a theoretical risk that live attentuated vaccines like the MMR can be found in body fluids (known as shedding), but that does NOT mean they are capable of causing the disease in the person vaccinated, much less being passed on, or causing disease in anyone else. Even the most severely immunocompromised individuals can be around recently vaccinated people with all vaccines, the ONLY exceptions being the live polio vaccine (not used in Australia), and a few very simple precautions are needed for the chicken pox or rotavirus vaccine, or the influenza nasal spray (also not available in Australia). For more details see here. Q: Do vaccines contain aborted foetuses? A: No. Vaccines do not contain aborted foetuses. For more details see here. Q: Vaccines are injected not ingested – doesn’t that make a difference to what happens to their ingredients and how toxic they are? A: Some vaccines are injected but this does not make them dangerous. Yes, the routes are different, and substances are handled in different ways by the body depending on how they enter it, but whichever route the vaccines enter the body, all the vaccine ingredients are safe in the very very tiny amounts they are given in. For more details see here. Q: Isn’t vaccinating my personal choice? A: Vaccinating is a personal choice. But it is a choice that affects more than just you and your family. Choosing to not vaccinate your family puts others at risk, others who are not given that choice. For an alternative answer see here. Q: If vaccines work, why are my unvaccinated kids a threat to your vaccinated ones? Why do you care? A: There are many people in the community that can’t be vaccinated, and there are people for whom the vaccination doesn’t work. For an alternative answer see here. 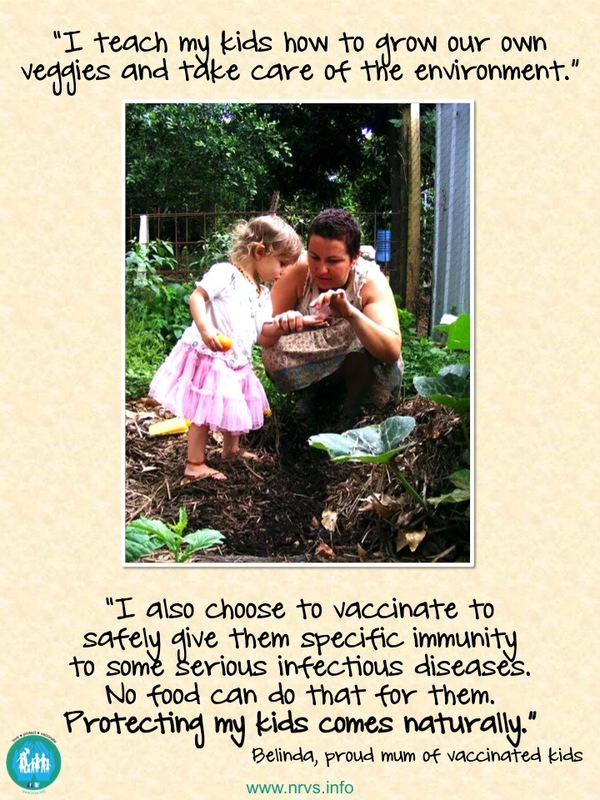 Q: I work with kids, how can I help to protect myself from vaccine preventable disease? A: This is a rough guide, but for specific advice make an appointment with your doctor or local practice immunisation nurse, and ask them if you might be due a booster. Q: Which vaccines are the most important ones? A: All of the vaccines on the childhood schedule are important. Vaccines are not made for trivial diseases that are easy to treat, what would be the point? Q: Aren’t there more people vaccinated coming down with the illness than unvaccinated? A: There are more vaccinated people than unvaccinated in the world, and no vaccine is perfect. 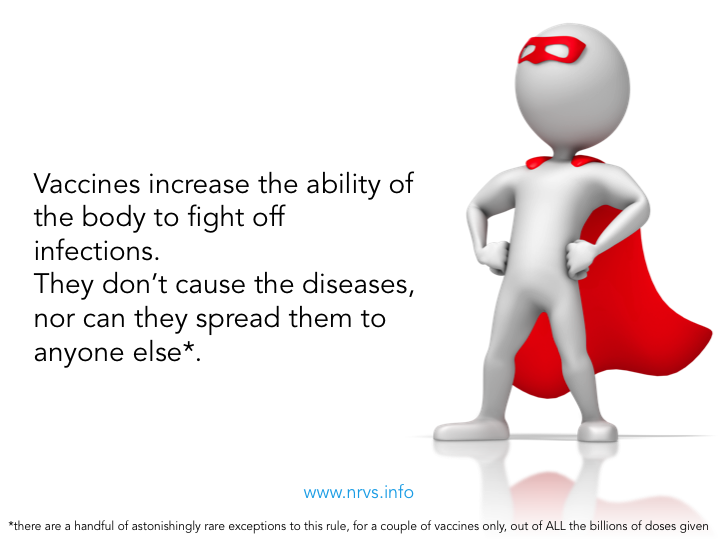 So whilst there may be more vaccinated people with the disease when looking at absolute numbers, amongst an unvaccinated population a higher proportion will get sick. For more details have a look here and here. Q: Why might somone who is vaccinated get the disease? Q: Aren’t all these illnesses just a right of passage for kids? A: No. These diseases are preventable. 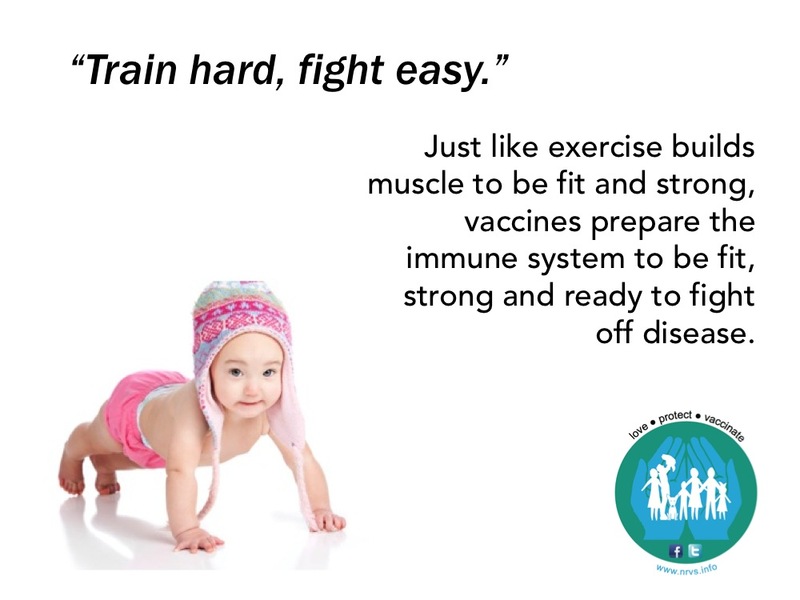 Vaccines are not made for trivial diseases that are easy to treat. Vaccinate, and you can prevent your child suffering at all. There are, very rarely, serious adverse reactions to vaccines, but they are far far less common than complications of the diseases that they are preventing. Q: Can I spread whooping cough if I am vaccinated against it? A: Firstly, the vaccine itself cannot shed, or be spread around, as it does not contain the bacteria itself, just fragments of it. 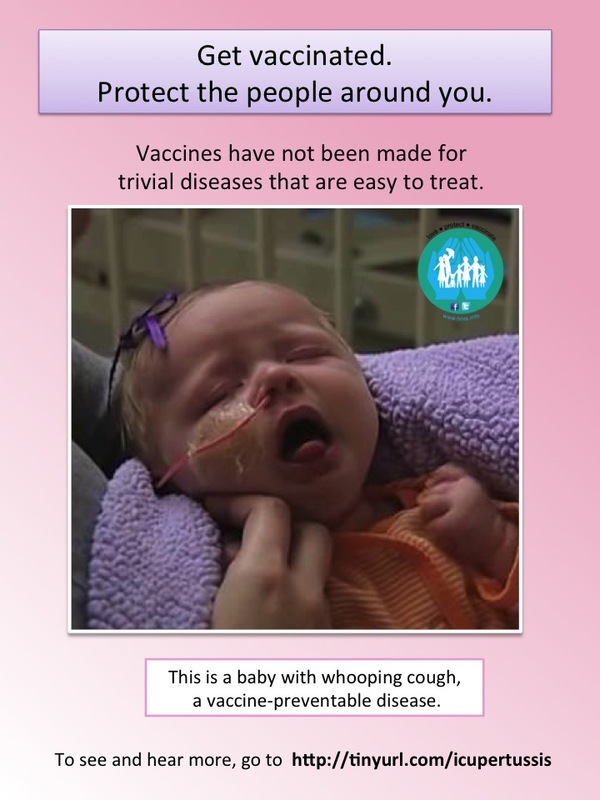 For more information about pertussis (whooping cough), the disease and the vaccine, take a look here. 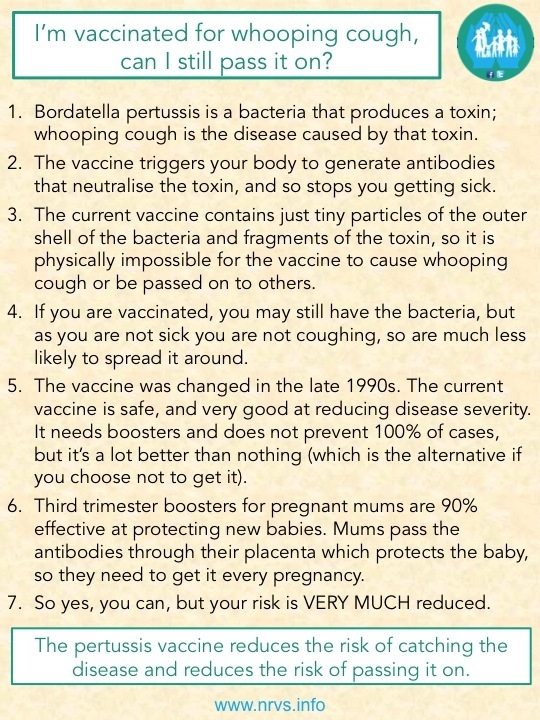 No vaccine is 100% effective, and it is always possible to get a disease even though you are vaccinated against it. There are a number of reasons why this can occur, and for more information about that please take a look here. And of course if, despite the vaccine, you get the disease, you can then pass it on to others. There is not a lot in life that is all or nothing, black or white, 100% or 0%; and this is one of those occasions. So in answer to the question, yes, it is possible, but the risk is very much reduced. 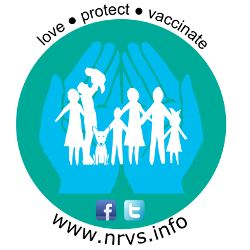 Q: How do I talk to my friends and family about vaccines if they are worried? A: If you have people in your life who are hesitant or scared about vaccinating their children, the thought of talking to them about it can be very scary. This article can give you some useful tips and things to consider before you start those kinds of conversations. Q: I have a healthy lifestyle, and hardly ever get sick. Why do I need to vaccinate as well? 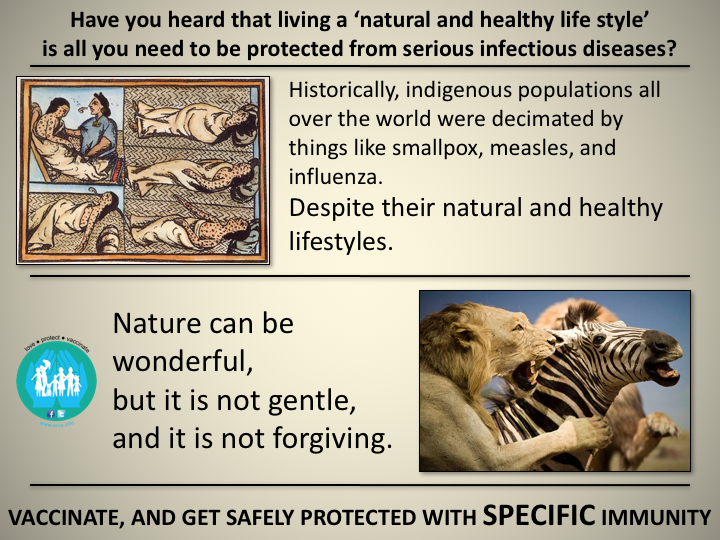 A: Of course it is good, and important, to live as healthily as you can, but the only way to be specifically protected from serious infectious diseases is by vaccination. In the same way you put on a seat belt even if you’ve never had a car accident, you get vaccinated to protect yourself from some very nasty diseases that can seriously hurt or kill you the very first time you experience them.